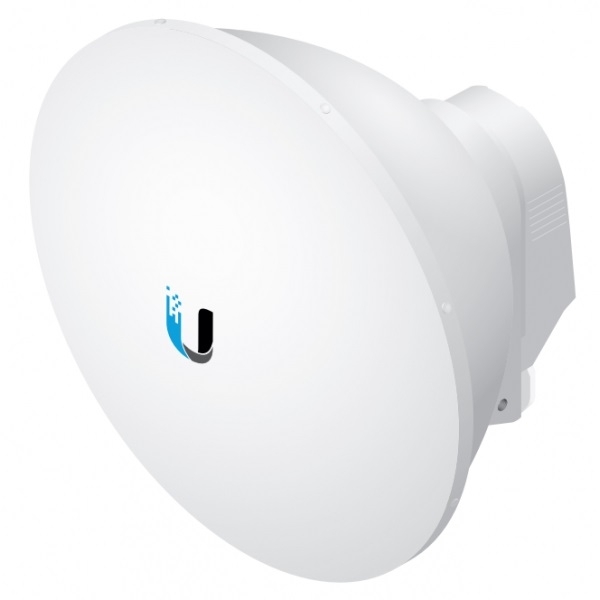 Each model is compatible with the airFiber AF-5X, a 5 GHz Carrier Backhaul Radio. • Low sidelobes reduce interference from other transmitters in the area. • High isolation enhances performance for co-location in tower-mounted installations. • The low-profile design with integrated radome reduces wind-loading. • Secure Pole-Mounting Maintains the position of the dish during harsh outdoor conditions. • Low-Profile Form Factor of the AF-5G23-S45 Reduces wind-loading. • Protective Shroud Protects the cables and connectors from the elements. • Integrated Radome of the AF-5G23-S45 Shields the radio from the environment.